You may have heard a lot of family and friends going on a vacation to Bali. Bali is the most famous destination in Indonesia. Bali is one island, many destination. 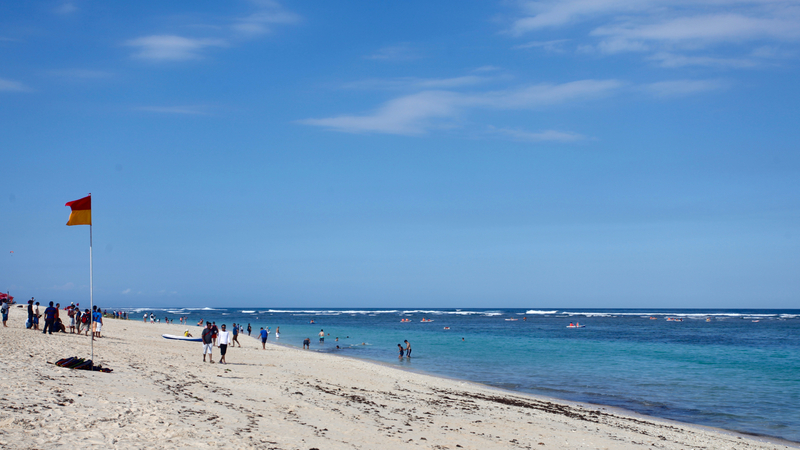 You can loose yourself in chaotic Kuta or dive in to the pleasures of sublime high end Nusa Dua. Ubud, the heart of the island is famous for culture while north and west Bali is more for diving. Whatever may be your liking, you are likely to find it in Bali. Bali lies in the Indian Ocean. The location is south of Singapore and north east of Australia. Bali is the main tourist destination of Indonesia. There are no non-stop flights to Bali from India. The shortest routes available are via Singapore, Kuala Lumpur and Bangkok. If you want to save money, go to google flights and check for options from your city to Bali (Airport is Denpasar -DPS). Generally the cheapest flights are in Air Asia ( Rs 15,000 – Rs 20,000 Return Ticket). You can also look for Malaysian Airliner, Malindo while Singapore Airlines is a full service and generally pricey. If you plan early, expect to save a lot of money in the flight tickets. Any day if you get a return ticket below Rs 20,000 from Delhi for example, just book it. Indians do not need VISA for a month travel in Indonesia. Just travel with your tickets. If you are planning more than a month, then you need to apply for tourist VISA in advance. Bali is full of options to stay. To get the best hotels at cheaper rates, first avoid the Indian websites. Indian websites do not have a good listing and are pricier. Go to bookingdotcom or agodadotcom or travelokadotcom for the best deals on hotels in Bali.If you are booking hotels atleast 3 months in advance, expect cheaper prices. Any hotel will be costly if it is on the beach or at a prime location.Plan your itinerary and book the hotels as per the itinerary. With the bookings done, you are all set for the adventure in Bali. Expect to spend about Rs 4000 – Rs 5000 per night for a 5 Star Hotel if you are early. The luxury hotels are pricier and can cost about Rs 20,000 per night. 6 nights in a 5 start property should cost Rs 30,000. Hostels – There are lots of hostels and homestays in Bali. If you are on a shoe string budget, these are for you. We stayed once at Nuka Beach Inn, Kuta Beach during our 3 day dive trip. A bed in shared dormitory costs Rs 200 per night. This comes with air conditioning, clean rooms and bathrooms and amazing friends. Hotels – We stayed at Bhuwana Hotel, Ubud and Grand Inna, Kuta Beach. Both are big hotels with lots of amenities. You cannot go wrong with these. There are many more options which can choose from. Just shop around in the websites. Expect to pay around Rs 4000 per night inclusive of breakfast. The best time to visit Bali is between April and December during the dry season. The weather is very nice, not too hot with very little to no rain. 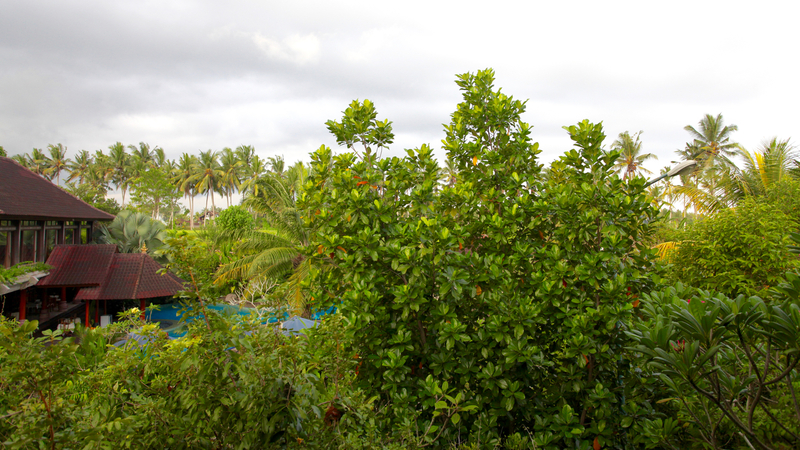 The rainy season sometimes starts early in December, so if you don’t like getting wet plan your trip before. June to September are the busy months and expect a busy scene around. Book the flights and hotels in advance to avoid high price and limited options. Bali is a big island. You will need transport form the time you land in the island. If your hotel does not give a free pickup and drop (very unlikely if not staying at an airport hotel), you have to arrange for a taxi. Typical cost for a pickup and drop in Kuta will be IDR 100,000(Rs 500) per trip while for Ubud will be IDR 300,000(Rs 1500) per trip. For day tours you can choose to have the luxury of a air conditioned travel in taxi and this will set you back by IDR 500,000 (Rs 2500) per day. This is cheap as the prices of petrol in Bali is very low. If you book from your hotel, the cost of the taxi will be higher. Just book from many taxi or travel agents on the market. A cheaper and fun way to see Bali is to rent a motobike. It will cost just IDR 70,000 (Rs 350) per day for the simple ones. You pay for your petrol. This is particularly better as Bali is known for traffic jams and these will help you save time. For tours to Nusa Penida, Nusa Lembongam or Gili, you have to get a speed boat ticket from the tour operators. Most hotels have breakfast included in the package. A good breakfast means a lot for a good start to the day. Apart from this expect 2 more major meals and few drinks like coconuts or something else on your trips. Expect Rs 2500 per day per couple for food. Lunch/Dinner in upscale restaurants in popular places – Rs 1500 to Rs 2000 per couple. 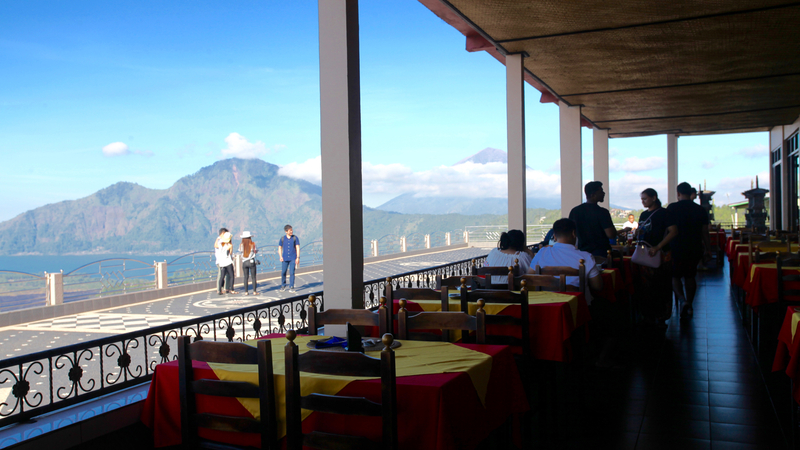 Lunch/Dinner in Warung – Rs 600 – Ra 1200 per couple. Food a warung (restaurant) are great. For example, Made’s Warung which is very famous and located in Kuta cost us Rs 1300 for a meal for 2 adult and a kid. If you want to taste Indonesian, get into the warungs. Coconut is available almost everywhere and costs around 20000 IDR to 30000 IDR depending on your negotiations. So for a couple of coconut you will spend Rs 250 approximately. Almost all temples will charge you entry tickets. For example Goa Gajah, Gunung Kawi and other temples will charge around IDR 15,000 (Rs 75) per head approximately. Bigger attractions like Pura Ulun Danu Beratan, Tanah Lot and Uluwatu will charge IDR 50,000 (Rs 250) per head. A ticket to the waterfalls also will cost around IDR 30,000 (Rs 150) per head. Accordingly estimate your budget with the number of places you visit. Then if you decide to take a holy bath in Tirta Empul, the locket, dress charges will be around IDR 50,000 (Rs 250) per head. The ticket to Kecak Dance at Uluwatu is IDR 100,000 (Rs 500) per head. The best thing to do in Bali is the explore its culture. Stay in Ubud and move around the streets on a scooter and explore the beautiful temples and rice fields. 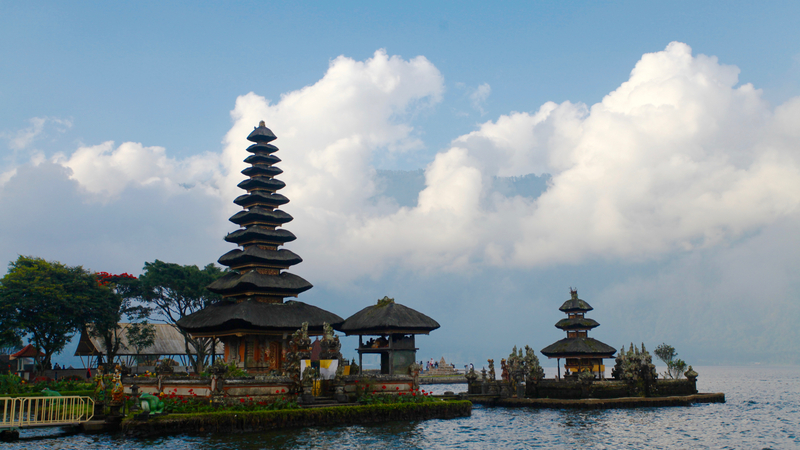 Temple tours are undoubtedly the number 1 thing in Bali. There are millions of temples in Bali, but the trip to the famous ones are really worth. The top of the list has Ulun Danu Beratan, Pura Lempuyang, Pura Besakhi, Pura Tanah Lot and Pura Uluwatu. Learn surfing in the waters of Kuta. Surfing is the sport which made Bali famous. The breaks are great here and a week is a great time to learn the sport. Learn Scuba Diving in Bali and dive in the Liberty ship Wreck in Tulamben or dive with manta rays in Nusa Lembongam. Hike to Mount Batur for a amazing sunrize. The hike near active volcano, Gunung Agung is one of the most scenic things you can do if you are in Bali. Plan to start as early as 2 AM from your hotel in Ubud. Relax and Spa in Bali. Visit Tegalalang Rice Terrace, The Gateway to Heaven in Pura Lempuyang and Hendara Golf Course Gate for Instragram worth photos. Telkomsel mobile network works best here. There are ATM and money changers almost everywherer. Beware of the fake money changers and go to reputed ones like WU or Banks. Most places accept MasterCard, VISA and AMEX. Respect the local customs and follow local rules while in temples. Shopping in Seminyak is costly. Shopping in Kuta is cheaper. Eat at warung to save money. Food is also great. Bargain for prices in local shops. Do not book a package tour from travel agent in India. This will not be worth the money paid. Book flights for you vacation and curate your own tour according to your wish. It is easy, fun and cheaper. Start in a beachside hotel in Seminyak. Spend time on beach and shop in the streets. Visit Uluwatu on a day trip and have a seafood dinner in Jimbaran. Visit the Tanah Lot Temple and explore the area known for surfing. Drive to Ubud and get immersed in the culture and the rice fields. Take day trips to the temples and the hills. Stay in the luxury resorts with views of rice terraces and green canopy around. Day 1: Arrive in Seminyak. 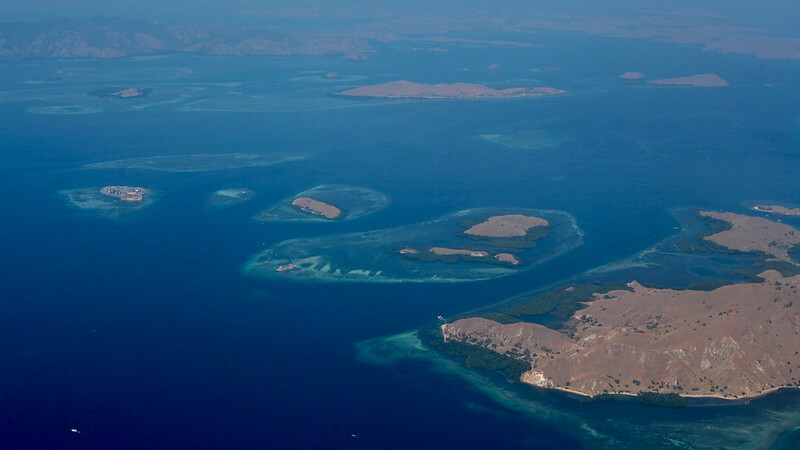 Either you can stay in the main island for 2 weeks and take it slow and steady or you can follow on to the neighbouring islands of Gili for some more fun. Start with a stay in Kuta or Seminyan and explore the Bukit Peninsula for 2-3 days. Head north west to dive in Pemuteran. After fun under water for few days head to the hills for some luxury in Ubud. After splurging in the culture and luxury of Ubud, either head to Nusa Lembongan for more dives or visit the famous Gili islands for easy island life.